A lovely photograph. Cuddle Time. Aww lovely cuddles. Hope the big ball is helping! Thank you. I'm going to treasure this photo. Noah looks so secure. A great photo. 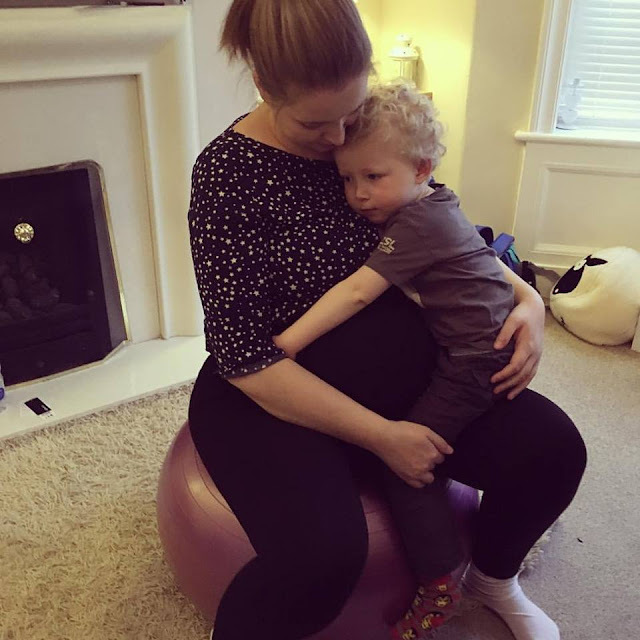 Looks like you are getting good use of your gym / birthing ball. Looks like Noah is oozing "My Mummy, I Love You". Lovely cuddle.